This very well designed Kitchen Spreader Board will lie flat on any table or work surface to provide a useful and secure base for spreading butter, jam and other foods on toast, bread, crisp-breads and similar items. Made of easy to clean plastic, it has a lip on its lower, near-side edge and small, non-slip feet that, together, prevent it from sliding away when in use. 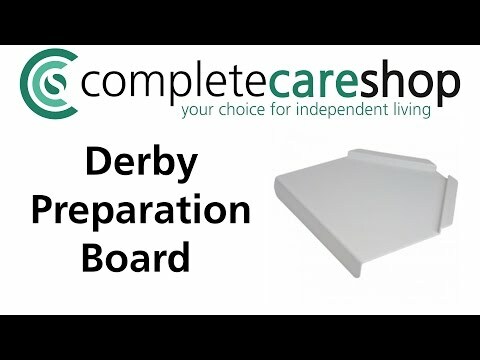 Ideal for many elderly or disabled individuals, and a very simple way to improve a users independence, the simple yet very tactile design of the Kitchen Spreader Board also makes it ideal for those with a visual impairment.